This hat was handcrafted stitch by stitch in our our non smoking NW SD USA home. 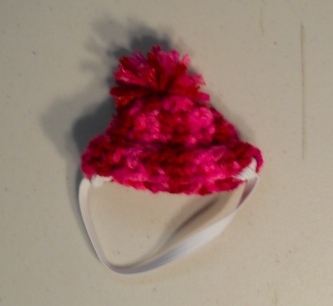 The hat attaches to your pet's head with elastic. 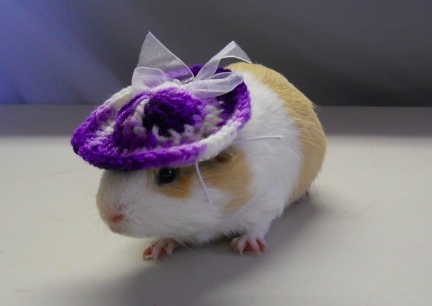 You can unknot to make longer or shorter for the size your own Guinea Pig needs for it to fit correct. If you have a dark colored pet you might want to dye the elastic with a permanent marker, let dry before placing on the pet's head.